The Village at West Gloucester has been developed on a 24-acre wooded site with frontage on Atlantic Street in West Gloucester. Approximately 13.5 acres of the site have been set aside as Conservation Open Space, to be left undisturbed in its natural state, while approximately .83 acres have been set aside as Passive Recreation Open Space. The private entrance to The Village is located on the west side of Atlantic Street, across from the YMCA Spindrift Day Camp and approximately one-and-one-half miles from beautiful Wingaersheek Beach. An 1100-foot-long private driveway rises gently through a tranquil and scenic woodland to a hill-top setting that provides select, distant winter views of Jones Creek, the Annisquam River, and Ipswich Bay. 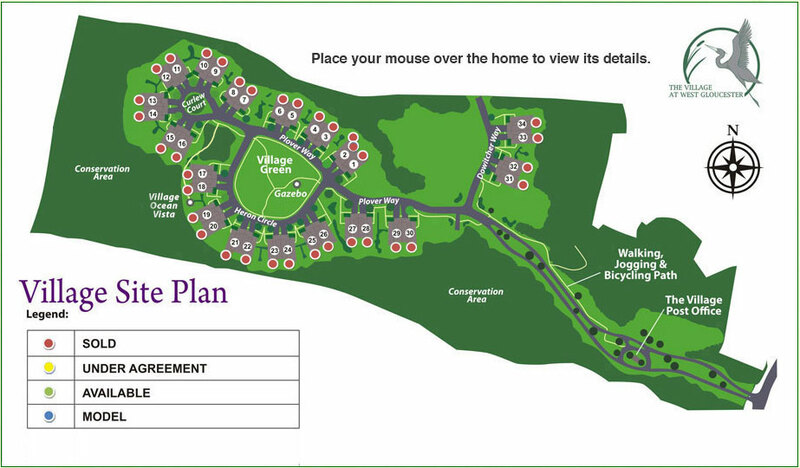 The Village at West Gloucester is comprised of 34 elegant homes nestled around a central village green with gazebo. The cluster design of The Village, where homes are graciously combined in clusters of two, has been carefully and tastefully planned to minimize the loss of conservation open space, while at the same time preserving your privacy and independent lifestyle. A meandering 5-foot-wide stone-dust path traverses the village green and complements the roadway layout of The Village, providing residents with walking, jogging, and bicycling access to the Village Post Office and all other developed portions of the site. An old-fashioned gazebo on the village green provides an inviting opportunity to sit and read or socialize with your neighbors. All of the landscape and other exterior grounds maintenance is managed by The Village at West Gloucester Condominium Association. Offerings subject to change without notice. 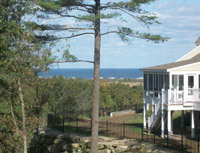 ©2012 West Gloucester Capital, LLC..